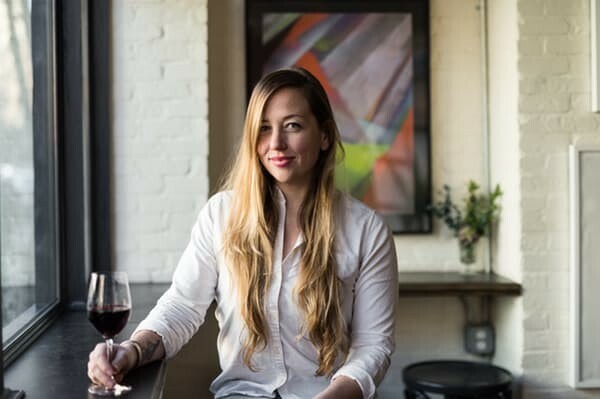 On the heels of being named Imbibe Magazine’s 2017 Cocktail Bar of the year, we sat down with Grand Army co-owner and General Manager Carissa Clay to talk about what it’s like to run one of Brooklyn’s favorite neighborhood bars. Photo of Carissa Clay via Grand Army. I saw on the Grand Army website that you’re from the West Coast and then moved to New York City—why did you make the switch? I grew up in the San Francisco Bay Area, and always had an interest in city life. I attended culinary school in New York, went back to California for a bit, then got my Bachelor’s degree in nutrition science at NYU’s Food Studies program. After that, I earned a Master’s in Public Health Nutrition at Hunter College, but the whole time I was working in restaurants—going between serving and managing. After school, I decided I really wanted to pursue a restaurant career full time. So when you guys were brainstorming Grand Army and figuring out what it was going to be, what were some of the ideas that were really important to you? My partners had most of the working idea and designs in place. But I would say we’ve grown, changed, and developed a lot since we’ve been opened—every business takes on a personality. When you open, you think you have an idea of how you want things to run and function, but some of those ideas we had changed pretty quickly. 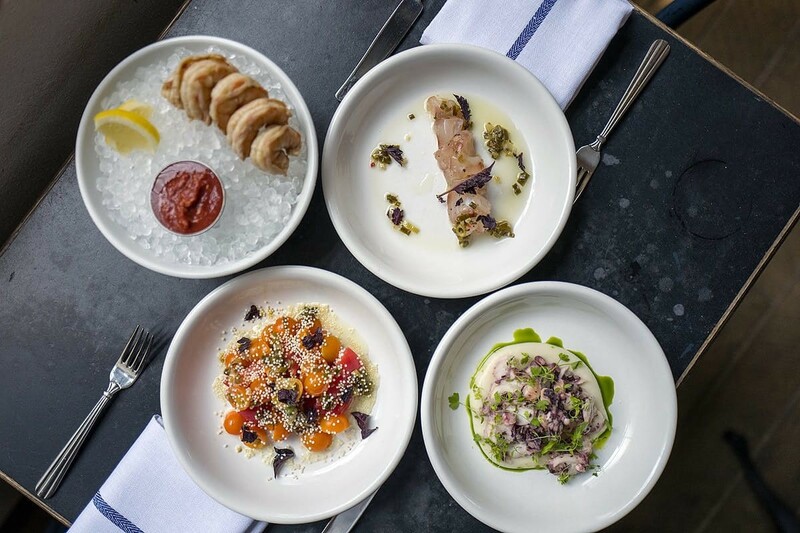 For example, our food menu—we originally had a more refined, intentional kind of food, before we realized the neighborhood and the space really wanted us to treat it more like a bar. People wanted more bar snacks, so we changed the food menu around. We strive to be a bar space that’s really fun, colorful, and lively; with really good service, a really knowledge staff and high quality product. 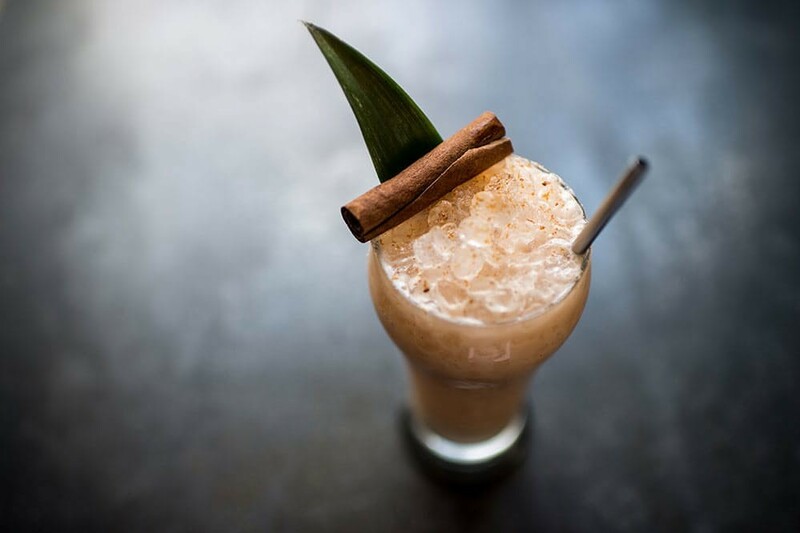 Cinnamon Cocktail from Grand Army. A lot of owners think about this question of how to adapt to the needs of their customers. Can you share any specific examples of how you changed things around to suit your customers' desires? Apart from changing the food menu, a lot of it happened organically. Part of my job is to make sure the high level of service is maintained without it feeling stuffy. But most of it really just worked out on its own, which is really the best case scenario. And a lot of it happened because of the staff—they really bring that vibe to the room. They are incredibly fun and energetic. Grand Army has excellent music. Who is responsible for that? The majority of the music comes from me and Chris Balla, our beer director. The music is very intentional and a really big part of what we do here. I think a lot of people actually come in because of the music. We want the music loud and it can be pretty aggressive—it’s not for everybody—but it’s a strong part of our aesthetic. It’s kind of a rock and roll bar. We hear from restaurant owners all the time that finding the right employees—ones that stick around—is a challenge. Any insights? We’ve been fortunate that most of our staff has been here for a long time. I think it’s really important to value your employees. We do our best to let people know how important they are and take care of them as best we can. If employees like coming to work every day, that trickles down to the guest experience as well. You guys do a lot of events and collaborations, which you promote on the pop-up feature on your website. Can you tell me how that fits into what you do at Grand Army? I think that doing any sort of collaboration makes for a fun night if nothing else. Damon, who is kind of like our creative director behind the bar, has a really strong network of bar professionals throughout NYC, and a lot of those contacts come through him. Offering a great event or drink special is one more fun and exciting thing for both the staff and the guests. We want it to be mutually beneficial for anyone we partner with, and I think building those networks in the restaurant and bar world is really important for the longevity of the business. I wanted to touch briefly on your BentoBox website. How has the experience of using it been? For the most part I’m the one doing the day-to-day menu updates, and we recently added a new member to the management team, so we added his bio to the people section. I also add the pop-ups for the events that we do. It’s been great, and your support team has been really helpful anytime I’ve reached out—very responsive and extremely helpful. The website is beautiful and I do think it’s a great representation of what the bar looks like and feels like. We do get a lot of people that say, “We’re excited to try this thing we saw on your website”—we can definitely see that guests are referencing it. Delcious bites from Grand Army. You’re really proactive about updating your menus. I toyed around with posting “sample menus,” for example a sample ‘winter menu’ or something like that. But there is so much value in having current and up to date menus. I go out to eat a lot, and I always check out a restaurant’s menu on their website. And many times, a restaurant’s website menu isn’t up to date. Maybe you show up and what you thought they had they don’t, because their online content wasn’t updated. Grand Army does a great job leveraging its website to really reflect what the bar is doing in real time with menus, events, pictures, bios of new staff, etc. You do a great job of using your website to convey your style and sense of hospitality. Which is maybe the reason a guest walks into the bar in the first place—because they liked what they saw on the website? Yes, we want to create as accurate a representation as possible for the guest. People do come in and say to me, “I saw your picture on the website, I read your bio on the website and saw you grew up in Sebastapol, and that’s where I’m from.” Being able to have a bit of background on staff and the management team has turned out to be a little bonus for the guest. We were hesitant to put the bios up at first, because we didn’t think people would care about them. But it turns out, they do—it adds a bit of humanity to the site. What’s the most rewarding part of the job for you? I really love what I do. I’m extremely lucky to host a party every night where I get to help people enjoy themselves. People are out in NYC wondering where to go, and they choose to come here. It’s great to see that what you’re offering is making people happy, and we’re excited that people can be exposed to new cocktails, new ingredients and new music.